The exhibition features the limited edition book and an exhibition of photographs from the Serious Moonlight tour. 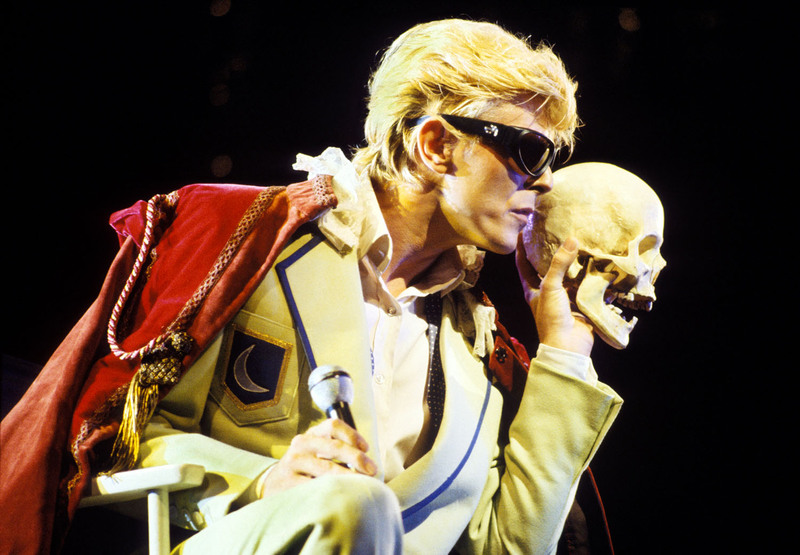 Published by Moonlight Books on 20th June 2018, the thirty-fifth anniversary of David’s Serious Moonlight tour concert in Berlin, Ricochet : David Bowie 1983 is a unique limited edition piece of art charting David Bowie’s 1983 world tour, a luxurious boxed set featuring offstage photographs, lyrics, exclusive interviews, memorabilia, vinyl & fine art prints. The book is an official David Bowie product, in collaboration with David’s official tour photographer Denis O’Regan, It is the most ambitious Bowie publishing project ever, focusing entirely on just one year in David’s life when he toured the world for the first time in five years. Limited edition of 2000; signed and numbered by Denis O’Regan, supplied with an authenticated certificate featuring the official David Bowie estate stamp designed by Jonathan Barnbrook. Clothbound hardcover book with four supplementary volumes, limited edition vinyl and three limited edition prints housed in an acrylic slipcase. With nearly 1000 images, each personally approved by Bowie, many of which have never before been published, the main book in the Ricochet limited edition provides an intimate portrait of one of music’s biggest stars. Featuring personal photographs of the musician traveling the world as well as live and backstage shots, it offers unprecedented access into Bowie’s life. 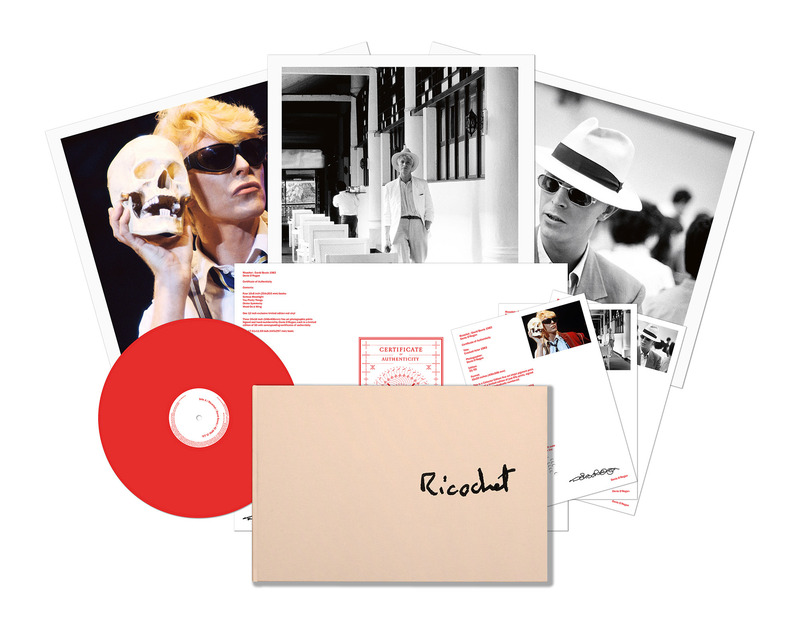 The boxed set contains four supplementary volumes including memorabilia, lyrics, tickets and extra photographs, many of them revealing a more intimate side of Bowie, and showing his personal choices and contact sheets, as well as a limited edition 12 inch red vinyl, featuring the tracks Ricochet and Let’s Dance, re-mixed by Nile Rogers, plus three 20 x 16 inch limited edition prints all signed and numbered by Denis O’Regan. To help collectors protect their investment, Moonlight Books have partnered with Tagsmart, a London-based British technology company to tag and authenticate the David Bowie Estate stamp and the set of three limited edition prints that accompany each numbered limited edition. Tagsmart pioneered the application of DNA tags to authenticate artworks and is now the go-to provider of tagging and certification services in the fine art market. It was the only such business highlighted in the 2017 Deloitte Art and Finance Report. The company uses physical DNA Tags to identify artworks via an online service. Artists use the service to verify their work and issue Certificates of Authenticity to collectors, who can access artwork data and manage their collections by building an immutable digital provenance history over time. Image © Denis O’Regan, David Bowie Cracked Actor, 1983.